Our process is mobile, so we are able to perform the service outside of your home or other facility, making it quick, easy and affordable to implement our service. Introducing revolutionary technology into your home or business that allows you to sleep, breathe and live a healthier lifestyle. Our services reduce many of the common contaminants found in mattresses, which could also improve their overall lifespan. We work to maintain your most used furnishing– your mattress– giving you many more years of healthy, clean sleep. We stand behind our work with unparalleled technology and guarantee our process. Mattresses are also becoming a larger problem for landfills due to their size and difficulty to compact. We believe many of these could have been salvaged from non-structural issues to prevent the unnecessary disposal of a costly furnishing. Outside of structural issues that could lead to a bad night’s sleep, we would like to be your solution for all other mattress-related issues. With the help of our Clean Sleep technology, we’re able to provide mobile, professional mattress-cleaning services unlike any other process before. Our mission is to create a good, healthy sleeping environment for you and your family. 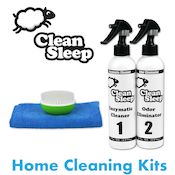 At Clean Sleep we focus on improving quality of sleep by offering unparalleled technology in mattress sanitation! We have created a solution to the body fluids, dust mites, allergens, and bacteria that are absorbed by your mattress on a nightly occurrence. With the use of modern technologies such as UV light, dry steam, vacuum, IR heat, Ozone Generation and Anti-Microbial treatment, we can sanitize ANY mattress in as little as 15 minutes. Our machine is mobile, which enables us to service any business or residential location within driving distance. Striving for perfection in all we do and who we are. Achieving positive customer experiences even in the small things, which customers appreciate. Validation of progress through honest relationships and transparency. Perpetual learning and growth through training and development in technology.